Gummee Glove Plus is a toy in the form of a glove that helps baby teeth to be designed to help them. 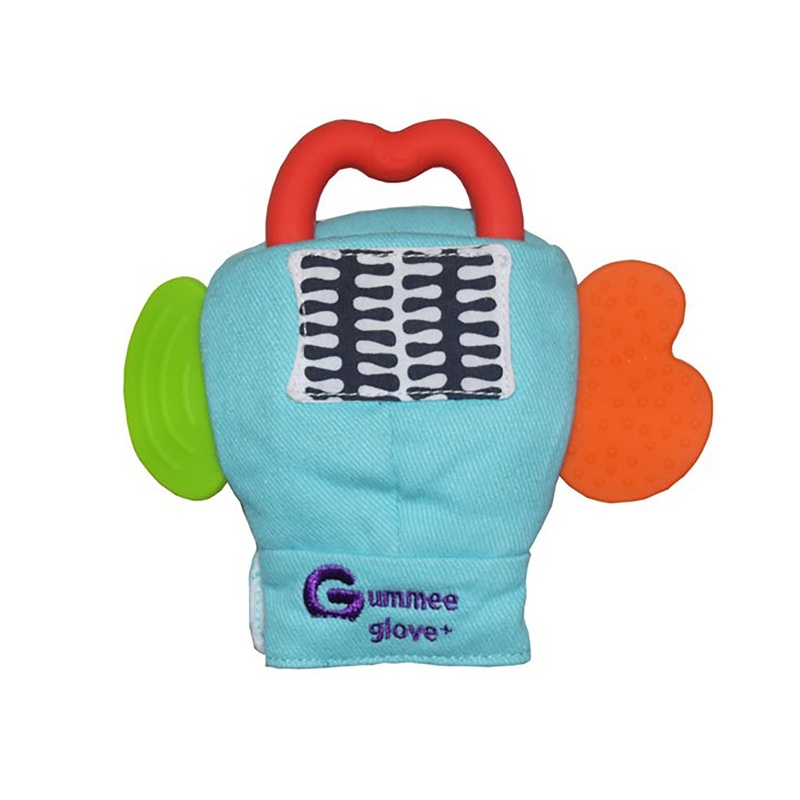 Underdeveloped dolls with motor skills and toy holding power can use the teething toy on their own with the Gummee Glove Plus. 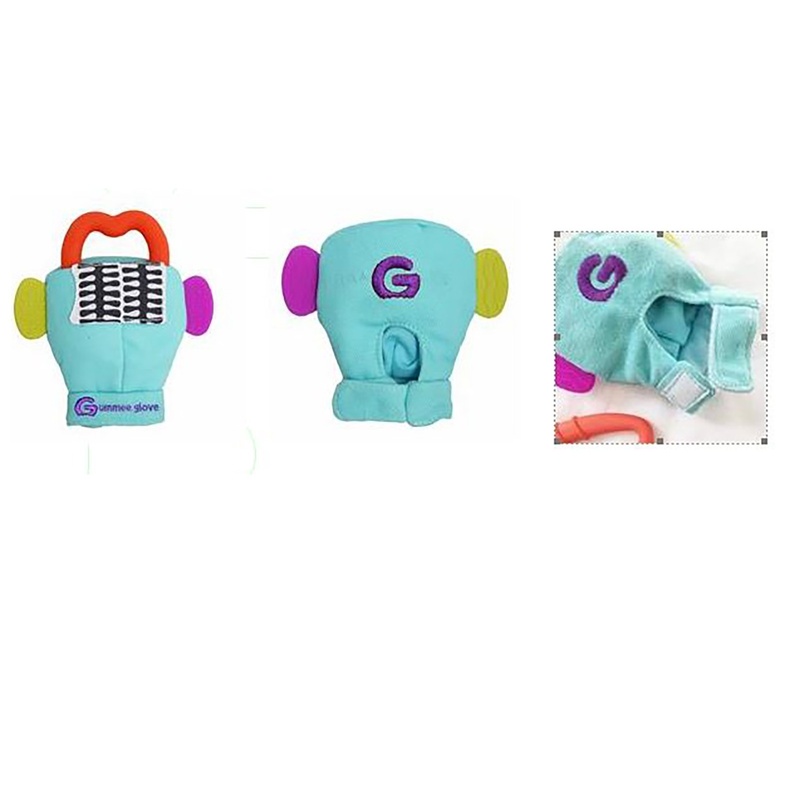 At the same time as Gummee Glove Plus, it is also possible to reduce the skin irritation in the jaw section due to the drooling in the teething phase. 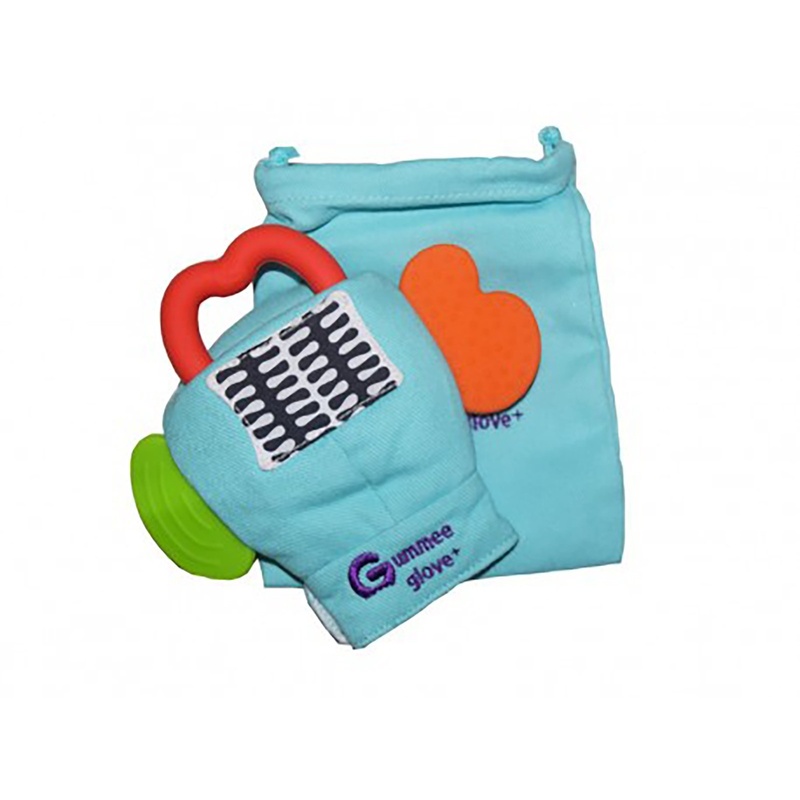 Because 100% cotton, Gummee Glove Plus protects the skin of babies and reduces irritation with the sucking feature. 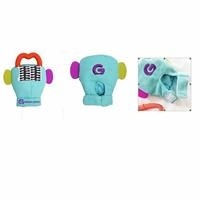 Next to the glove with larger, slightly biteable side flaps. Can be used as a machine washable and / or travel bag with the handy laundry bag from the package. 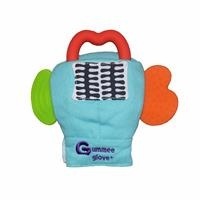 Gummee Glove Plus has been tested and certified to EN71 Safety Standard. CE certified.